What does a counterargument look like in a persuasive text? Below is a body paragraph from a persuasive essay written by a student. Notice the counterargument and how the student refutes it by differentiating fact and opinion. Some may argue that students should not be allowed to carry drinks in school because of the mess spilled drinks causes. This, however, is not good reasoning. Students drink sodas in the cafeteria all the time, and the cafeteria workers I asked said that they only clean up a spill about once a month. Also, there could be a compromise where students are only allowed to bring in clear liquids. This would eliminate any stains if there were a spill. Finally, students could commit to cleaning up their own spills and not leaving spills for the janitors. Which sentence contains the fact? Which sentence contains the opinion? Use your notes to answer these questions. When you are finished, check your understanding to see possible responses. The argument that bringing drinks to school causes a mess is the opinion. The fact is found in the sentence containing research. The writer asked cafeteria workers about spills, and the workers said there were very few spills. First of all, where did this counterargument come from? Why do you suppose the author included this in the text? He could have heard this sentiment from students or teachers or administrators at school. He could have discovered it while researching the topic, too. Of course, if your text is part of a preassigned project (as opposed to an essay that needs to be written on demand, perhaps as part of an exam or standardized test), you should complete your research early. This will allow you to identify possible areas of disagreement with your thesis (counterarguments) and will allow you to take steps to refute them. Now, let’s take a look at the counterargument itself. How do you figure out if this opposing viewpoint is a fact or an opinion? You could examine the logic of it. Has the person offering this argument given ample proof that students will spill drinks in school? No. It is simply stated and left at that: no evidence, no premise that is proved, just an opinion about future student behavior. Therefore, the author of the essay can refute it. 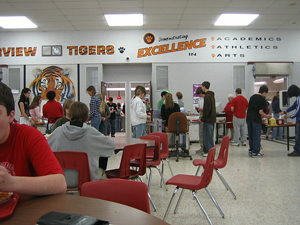 Students drink soda in the cafeteria all the time without spilling it. a nonthreatening, reader-friendly manner: “Some may argue that . . .” When responding to an argument contrary to your thesis, using language that is firm but not harsh is a good idea. This avoids the risk of alienating your readers, whose approval you seek and who are the reason you are writing the text in the first place. Below are other words and phrases (transition words) that will help make your arguments easier to follow. Use the list of transitional words and phrases above to fill in the right-hand column of the chart below, fashioning responses to the counterarguments on the left. Use your notes to write down how you would complete the right side of the chart. When you are finished, check your understanding to see possible responses in a completed version of the chart. Students should be allowed to take drinks into the classroom. Students don’t need anything but water during the school day. 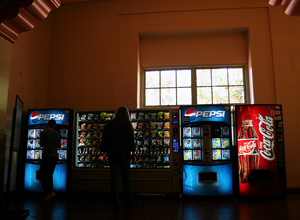 Students should be allowed to buy soft drinks in the machine at school and take them wherever they please. Sugary drinks make kids hyperactive, and this lack of focus causes difficulties in school. Students should be allowed to take drinks into the classroom. Students don’t need anything but water during the school day. While water is necessary and good for students, we all need variety in our diets, and there are other drinks that offer that variety. Students should be allowed to buy soft drinks in the machine at school and take them wherever they please. Sugary drinks make kids hyperactive, and this lack of focus causes difficulties in school. Although some people react to the sugar in soft drinks, studies have shown that sugar in the bloodstream does not cause hyperactivity to the extent previously thought.